Just going about your day. And scare them out their pants. With your bushy tail a wriggling. Whilst your cubs run round and play. Aren’t they craziest animal you’ve ever seen? First time I’ve actually seen one. I remember when I was a little boy and we went to the National Zoo. 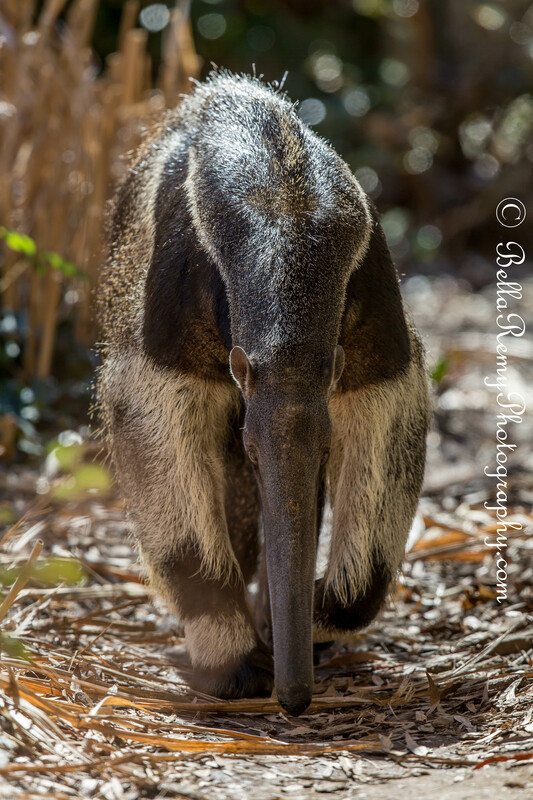 I thought the anteater had two heads! I love your blog! I to catch every post! Will do! Rock on, Bella Remy! Rock on! Super cute poem, very fitting for your picture, and I like how straight on you have it. When I interned at the zoo sometimes we’d put the anteater’s food in our hand and feed her through the cage. She’d had to get it out with her tongue as we’d close out fist, it was such a weird feelings. But they are really cool creatures, pretty big too, relatively speaking. Great shot! You did? You got to feed Anteaters? How amazing is that? Was it sticky? Eww…I’d be looking for a washcloth afterwards. 🙂 Big smile on this one. Oh it was sticky and so so fun. I’d never really paid them too much attention but being so close I gained a lot more appreciation. I think they’re actually really beautiful creatures. Thanks for reminding me! One of those critters that’s so homely they’re cute. Bet you want one now don’t you? I was always fascinated by these guys. Great pix and poetry! Thank you so much my dear. Seeing your name always brings a bright smile to my face.